A heat wave that extends from Richmond, Virginia, to Boston, Massachusetts, brought record high temperatures to the D.C. area this weekend. A heat advisory was in effect from noon to 8 p.m. Sunday. The temperature reached 100 degrees in D.C., tying the record set in 1943, according to Storm Team4. Amid the oppressive heat and humidity, some severe weather moved through the region Sunday evening. A flash flood warning was issued for Montgomery, Baltimore, Carroll and Howard counties, but has since been cancelled. People braved the heat Saturday at Dupont Circle. News4's Meagan Fitzgerald reports. The heat index soared to 114 degrees at Ronald Reagan National Airport Saturday afternoon. Temperatures at the airport reached 101, tying the record set in 1880, the National Weather Service said. More than 3,400 Pepco customers were without power in the D.C. area and more than 1,500 were without power in Bethesda, Maryland, Saturday night. Power has been restored to all but about 30 customers on Sunday. 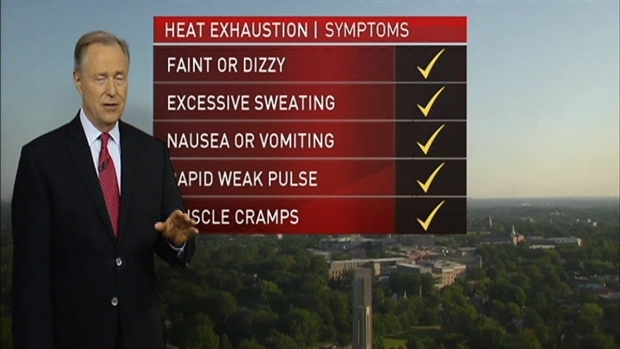 An excessive heat warning was in effect for the D.C. area from 11 a.m. to 8 p.m. Saturday. NWS said a record high temperature of 99 degrees was measured at Washington Dulles International Airport in Virginia on Saturday, breaking the airport's record temperature of 98 set in 2002. It sounds like a good weekend for the beach, but the Atlantic Ocean is reaching record high temps, too. It’ll be less of a refreshing dip and more of a warm bath. On Wednesday, the water temperature in Atlantic City registered 83.3 degrees, the highest on record, Bell said. Beach highs are expected to reach in the 80s in Ocean City and Rehoboth. Heading to a Nats game this weekend? Special cooling accommodations will be made. Cooling centers will be open in the Roosevelt and Kennedy rooms behind Section 202 on the 200 level. There, air conditioning and ice water will be available. Misting fans will also be set up on the Budweiser Terrace and outside the Main Team Store. 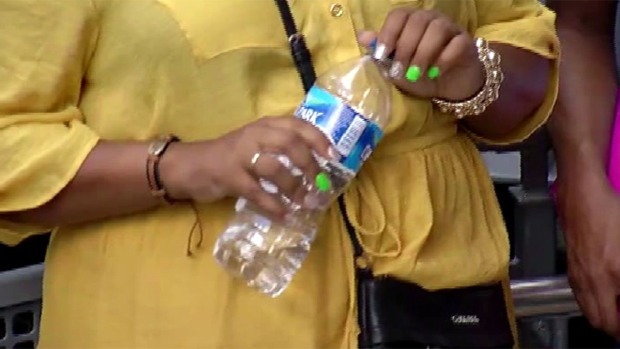 Fans are allowed to bring up to two sealed one liter bottles of water and battery-operated handheld fans into Nats Park. Due to the high track temperatures, Metro trains are operating under a 35-mph speed restriction at all above-ground stations, Metro said. Systemwide delays are possible.